I wasn't going to write this post but some strange things occurred, it is obvious I was meant to write and share this post. I wrote something recently in relation to our individual path and the human collective journey and shared it, I then received some interesting replies as shown below. I felt I needed to further elaborate on this but I then changed my mind. As soon as I changed my mind, visions of the spiritual love expressed today and the love expressed in the sixties came to me, I soon realised that the love in the sixties was a lot more unconditional than the love expressed today in spirituality. I will explain myself further using the hundredth monkey theory strangely enough. Or the journey of humility? It's a team effort creating our communities as well as realities. Indeed +Michael Hopkins. A lot of the collective effort makes up our individual paths, religion/spirituality and materialism are but two examples of this. I think we make the mistake in focusing on the individual self too much when our own paths are mostly determined or created by the collective team effort. Everything that starts at home as individuals is determined by the collective in some way. Too many people think it's the other way around, I suppose that is the controlling ego for you. It's interesting why people like me are not popular, it is also very sad. We are simply about the collective journey over and above the individual path, this will always be deplorable to an ego in control, including my own ego. The feeling of love and the kind of love felt is a personal experience, no one person feels love exactly the same but of course the ego will state otherwise. Love is of the individual self therefore of the ego, love is not a collective expression but this love can influence collective expressions through individual expressions. This of course brings us to the hundredth monkey theory where one monkey's expressions are soon expressed by many monkeys. The question is, can individual expressions have an impact on the collective consciousness? Love and peace in the sixties was certainly a turning point, love was free and unconditional and peace prevailed over this kind of expressional love. How many loving people protested against war in the sixties? How many loving people protest against war today? War is simply too negative so it's ignored, this is but one example of insurmountable judged negative of today's love that is suppose to be more unconditional!! Take the hundredth monkey theory. Today expressions of love would look at the dirty potato as being negative and subsequently ignored because it's dirty therefore negative. War was dirty in the sixties, like the potato to the monkey, but war was not judged as being negative therefore avoided at all cost, it was dealt with face on void of fear. Being truly unconditionally loving in the sixties brought about a momentary change, how is a love with insurmountable conditions today going to bring about an everlasting change, especially when the potato is judged as negative (dirty) therefore avoided at all cost? Simply, the individual self is put above the collective these days, we believe change starts from the individual and goes out, so what do we do, totally ignore the collective because we have judged it negative (dirty). In relation to the hundredth monkey theory; it wasn't an individual effort that brought change, it was a collective effort that brought change for without the interactions of the other monkeys, washing the dirt (negativity) off of the potato wouldn't have become a collective expression. It's been unusually quiet recently in regards to channelling and messages coming through me, actually, a good friend of mine has also noticed how quiet it has been for them as well. Is this the quiet before the storm? All quiet moments create different realities and/or perceptions, basically a change in consciousness or a shift in consciousness. As all non-quiet moments, like war/conflict, create shifts or changes in physical realities, quiet moments also create shifts in reality to one degree or another, it's just that quiet moments are more passive in nature within creating these shifts. Quiet moments also create an awareness that goes beyond human perceptions and perspectives. Non-quiet moments create an awareness within the limits of the said consciousness. Quietness basically represents a passive shift that is limitless in nature to the consciousness experiencing the quietness. Quiet moments are also more conducive to wisdom where non-quiet moments are unconducive to wisdom; this is because wisdoms is of this quietness. Basically, the observer rather than the participator, motionless rather than motion. 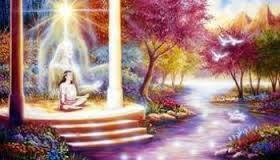 So does this higher realm represent a state of limitless awareness and wisdom? What if I said that experiencing states of unawareness/ignorance and high degrees of expressional ego straits, is also of this higher state. As human consciousness often perceives, a more aware state is of a higher stature than an unaware state, try experiencing an unaware state while being fully aware, you simply can't which means you are expressing a limited consciousness. 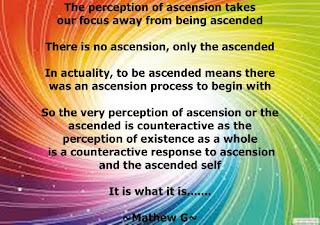 Being aware that consciousness as a whole is limitless, infinite in nature, it's strange to think that human consciousness thinks that a higher degree of awareness is of a higher realm of conscious awareness. 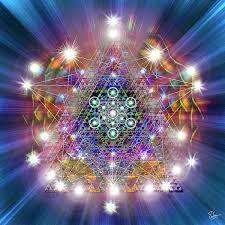 Even experiencing conscious states void of wisdom is of this higher realm of consciousness. I truly think it's virtually impossible for human consciousness itself to perceive that there is no true higher state or realm of consciousness, only in our ability to experience all of what is, either that be aware or non-aware, can we be of this so-called higher realm. Because human consciousness is limited by certain perceptions and perspectives, which of course makes human consciousness human, perceiving beyond these limited perceptions and perspectives is virtually impossible, this is until we incorporate another consciousness within human consciousness that is. For an example of this, God's consciousness or a state of pure awareness is often used to influence human consciousness, of course more often in a passive way. It's important, at our stage of the conscious shift, that we are aware of the importance of passive shifts in relation to non-passive shifts. We are that conditioned to non-passive shifts of consciousness, that passive shifts could pass us by without being noticed therefore utilised. I have the understanding that all conscious shifts/changes can only come to fruition through being aware of these passive shifts, or, desisting in counteracting these passive shifts with highly active expressions/motions of any kind. It is often said that this passive shift is now going to occur no matter what, I couldn't think of a more limited conscious within thinking this. Consciousness is unlimited therefore there are no certainties, this has nothing to do with scare mongering, it's an actuality that consciousness is unlimited therefore there are no certainties or absolutes, ever. I find it strange that we talk about certainties on one had but on the other hand talk about there being no absolutes. You can see why so many people take spirituality as being a joke these days, especially in relation to the western mind. I also have the understanding that the true elite are not the people who are controlling the world at present. It's wise to be aware that this control is apart of the experience that we are all having to one degree or another, that is all. The true so-called elite are the people who can take what they have created in this realm with them after their so-called demise (death). It's impossible for the present controllers of the world to do this no matter how much they accumulate and create; this is how limited this kind of consciousness is. Of course you can take this highly limited kind of consciousness with you after death; you just simply can't take what has created these limitations with you. Eventually, what has been physically created by the present controllers will be wiped out; this is because everything created by this kind of limited consciousness is limited within its existence. Limited consciousness is simply finite by nature. I thought I would end this post with something I wrote in an anniversary card to my wife just recently. This might give some people a better understanding of me. First of all, prophecies and predictions seem to make reference to the future, of course it's debatable if a future and a past actually exist as everything is within the present. Try thinking about the future or the past in the future or the past, all thoughts of the future and the past are in the present, even if they were written down in the past, it's still of the present. If you perceive only the present exists, you will perceive quite differently to anyone who perceives a future and a past also exist. We are of course conditioned to a past and future existence, in actuality, many of us focus more on the past and/or the future more than the present, the now. Prophecies and predictions don't actually relate to future events but of possible paths or directions. When you consider there are infinite directions a singular or collective consciousness can follow, you start to get an idea how difficult it is to make accurate predictions. However, when you also take in consideration of the present circumstances and the direction (path) human consciousness is presently taking, prophecies and predictions become a lot more accurate. All prophesised and predicted events have already occurred, this doesn't mean they are of the past either, it means they are of the present as in a present path being followed. If human consciousness was on a different journey to what it is at present, these prophecies and predications would predict a totally different future. So does this mean that these prophecies and predictions are correct? Being aware of what is going on in the world at present, prophesies from well known seers like Nostradamus and Edgar Cayce seem to be correct. The following link predictions predicted by a man in a coma that lasted for a year, seem to concur that the next few hundred years is bleak. However, it is wise to also consider that no prophesy or prediction is of future events, they are only of a certain direction that a consciousness can follow or is following. In actuality, these so called future events tell us were our consciousness is presently at, they are there to assist us, perceiving prophecies and predication as just negative and ignoring them because they are negative is exceptionally unwise. 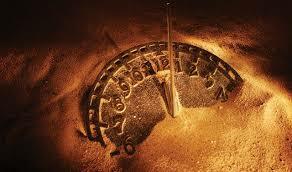 It is also unwise to focus on these predictions as being true no matter what; they are, in my mind, there to guide us. All our paths that our human consciousness can take are already written, it's as if they have already occurred and in a sense they have. Consciousness is not limited to one direction or one variation within the present. Human consciousness has insurmountable paths to follow within the present, even though human consciousness itself is limited, it still has insurmountable directions it can follow. To comprehend this, try not to think in time and space, past and future, instead focus on the present. Extract: 3382 A.D. A remarkable phenomenon happens in humanity. People one after the other acquire suddenly a new spiritual ability that could be called hyper-vision or hyper-intuition. A direct access to “the great Spiritual Light” or “Direct Knowledge” with extremely powerful and of stunning clarity creative powers. It is also a mutation of the human brain. This is a prime example to why these predictions are only of one path that we can follow. This so called hyper-vision or hyper-intuition is already being experienced by numerus people in our life time; I myself experienced this in my mid-teens when I could ask any question and get a direct correct answer to my questions. In my case, this didn't last very long and it wasn't something I focused on or tried to do. The answers you receive are not always the answers you want to receive or expect to receive, some of the answers are way too revealing for the ego mind to comprehend or cope with. When we have governments, for example, that doesn't care about the environment and want to build antiquated wall systems of ancient days to wall themselves in, it is obvious that human consciousness is regressing and taking the path of what is predicted by these well known seers. What is even more frightening is that these leaders are voted in by the people for these kinds of regressive stances. However, human consciousness is very lucky that not all the people are this regressive by nature. These are the people who still have a chance of changing our present prophecies and predictions. Could you imagine a government, which is obvious within their regressive stance, allowing the culling of their native people once again. The horrible fact is that a large percentage of a populous, under a regressive institution, would indeed be apart of this culling (annihilation) of another race of people, this of course is predicted to occur. Of course we are allowing this kind of culling to occur in the world at present, it's certainly a path we seem to be taking at present. This is why ignoring these prophecies and predictions, because they are judged as negative or what ever, is exceptionally unwise to do, they are present for a very good reason. Love is unable to exist without a true sense of peace, the more peace we are in, the more of love we become, basically, peace creates a sense of love, they certainly go hand in hand. Now, peace is unable to exist without balance, look at how non-peaceful this reality is and how imbalanced it is. 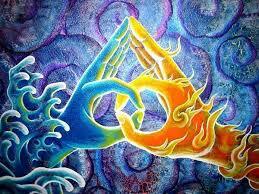 All imbalances create disharmony as all balances create harmony (peace). What this means is a true sense of love is about balance and peace; love is unable to exist within the same space as imbalance and disharmony, try hating or expressing disharmony in a true state of love, it's impossible. It is said in certain philosophies/ideologies that love has no opposite, why then is hate or disharmony unable to exist within the same space as a true sense of love? Of course the opposite of hate is love as well. The ego wants to believe love has no opposite but there is a reason for this kind of reasoning by the ego. 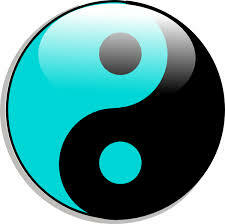 Consider the yin and yang symbol. Negative and positive is shown as one in the same space. To the modern western human mind that is dominated by the ego, this symbol quite clearly shows that negative and positive can indeed exist within the same space. Waite a minute, the yin and yang symbol illustrates that negative and positive are in unison and in perfect balance with each other, this perfect balance neutralises the effects of both negative and positive. If we were to separate the yin and the yang, the positive and negative, we would have an imbalance with the negative being unable to exist within the same space as the positive and visa-versa. Now consider the view point of an ancient eastern mind. I should point out; in ancient times there was very little difference between western and eastern minds, there is however a huge difference between ancient minds and modern westernized minds. Because the world is dominated by the westernized ego mind, we presume there is little difference between western and eastern minds; this could not be further from the truth. As was pointed out to me by a Hindu from India, ancient Hindu philosophy and Greeks philosophy have a lot in common, however, there is a huge difference between the modern western mind and ancient philosophies. The modern mind segregates everything even when shown that all can be of one while in perfect balance. The modern mind seems to be conditioned to imbalances where the ancient mind is conditioned to balance. What a lot of modern minds seems to have done is mistaken a pure blissful state for a state of unconditional love, we have in turn become fixated to love. All fixations refer to an existence based on fear. How many people fear having this love taken away from them or threatened in any sense? The critical adverse reactions people like me receive, quite clearly shows that we have replaced one fear based existence with another. At no point should any true state of love (bliss) express fear in any sense. What created or recreated this love in the first place? An imbalance and disharmony, the love expressed by the modern human mind is in reaction to this but the ancient mind isn't. Buddhism refers to this blissful state as nothingness or pure awareness, both are correct and do not contradict each other. Hinduism refers to this state as zero point or God (creator) as many ideologies and philosophies do, the difference being, is the views in relation to the ego and how this state is expressed. In recent time's, instead of my writings coming from channelling, they have at times been coming through my dreams as direct messages. What is peculiar is that there is no definition or labelling or form, these messages seem to be coming from nothingness. For the ego (modern) mind to comprehend anything, it needs definition like a name of form, I have to admit though, most often my ego mind could not comprehend these messages from nothingness, last night was different. This nothingness will feel like pure bliss to us, or as the ego mind sees it, love. My writings are not well received and are incomprehensible to more a and more people. As what has been pointed out to me a number of times by various people, my writings are beyond most people's comprehension, only because most people become fixated to one part of the process or another while becoming aware. So what is the point of my writings? I am channelling and receiving messages in my dreams for a purpose, I also need to write them down as they are, this means I will not insert words like love in every sentence, this would be rather deceitful of me, of course deceit relates to fear. It would seem I am a guide to those who need to go beyond all fixations and fear based existences. Instead of fixating ourselves to love being the absolute and ultimate state, focus on this bliss, this nothingness or zero point that has no need of love which is ego created. This state is bliss for there is no need of love to counteract disharmony. This state is hard to explain because there is no definition to this state, considering this, be aware that the ego mind will not be able to comprehend this state without giving it some kind of definition or form like love. Like I said, there are certain people in the world that need to go beyond these fixations, go beyond the perceptions of absolutes and ultimate states, however, there are a lot of people who probably just need to stop at this process of the perception of love. My writings are certainly not for these people, not these days. As of many ancient ideologies express, balance is the key, not just to love but beyond the perceptions of love. For some, try to feel and think void of definition and form. For others, try not to become too fixated to one process or another while becoming aware. With a true sense of being love, you are able to be in any situation and circumstance and still be within this love. This kind of love simply nullifies or neutralises all other effects of existence and being. Within this love, no other way of existing can exist, this is why some people can just simply walk into a disharmonious situation and immediately influence these situations to become more passive. What isn't a true sense of being love is when you have to avoid judged and at times critically judge judged negative situations or people. This kind of judgment is brought about by dissimulating everything instead of simulating everything including the judged negative from the positives. Judging yourself to be positive is dissimulating, not simulating. Dissimulating; negatives from positives is separatism that creates realities primarily based on duality. Dissimulating naturally creates disconnectedness and dissension. Simulating; negatives and positives is dependency that creates realities primarily based on non-duality. Simulating naturally creates union and harmony. A true sense of being love, not just thinking you are love, automatically nullifies dissension without effort. 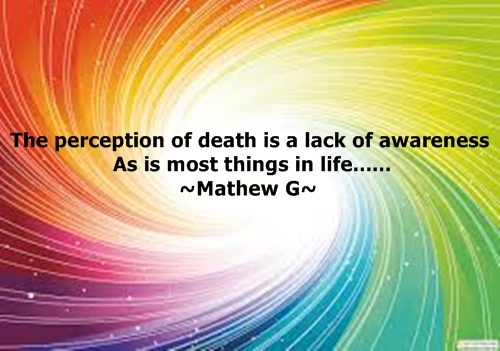 If we have to make an effort either to avoid or become deliberately unaware (ignorant) of anything, especially the things we critically judged negative, this isn't a true sense of being love. It is simply wise not to judge, especially critically, negatives too harshly for all this creates is more dissension, not less. I have observed numerous people who just feel love do just this. My love to these people is to make them aware of this for all they are doing is adding to dissension and separatism, not creating union and harmony. I have been lucky enough to come across a few genuine loving people in my time, one nearly brought me down to my knees only because I was not conditioned to this kind of energy at the time. I know of few people who are actually in situations that other people who only feel love would critically judge negative, you will often find these people in a so called negative situation. The reason for this is simple, they firstly don't critically judge negative situations and ignore or avoid them, in actuality they are attracted to these situation because this is where they are most needed. In my own view, it is wise to avoid any group who is just feeling love to being this love until you find yourself being of this love. Once you are being of this love, the dissension created by these people will be nullified, only at this point is it wise to integrate with these people and situations. It is especially unwise for an empath to integrate in these kinds of separatist situations, mentalities and existences, until they are being of love, not just feeling love. It's not easy times, especially for an empath who feels what is going on within their environment. Within these times, we will be attracted to anything that nullifies or neutralises this environment in some way, it is however wise to be aware of anything that is into separatism or fear in anyway. A person who is being love, even though it might not seem that way at first because they are in a judged negative situation, will willingly go into a judged negative situation, not avoid it at all costs. You know when you are being this love when you can put yourself into any situation void of critical judgment. I have integrated with very few people on the net who are like this, it's very uncommon sadly enough, we are just plainly too critically judgmental and we are in observation getting worse. I think to a lot of western minded people, what I have written here is going to be incomprehensible, most probably deliberately sadly enough. We in the west simply think differently, if it's a judged negative, avoid it at all costs. For myself, I often balance out my being love with other ways of existing, for no way of existing is any more or less worthy of experiencing. Yes, this includes just feeling love and creating even more separatism, what do you think we are all here for? As many true people of being love do, I often put myself within a different existence and situation but my mentality stays of being of love, it's simply impenetrable, this is why people like me are able to do what we do, even while being critically judged by so many people on the net.